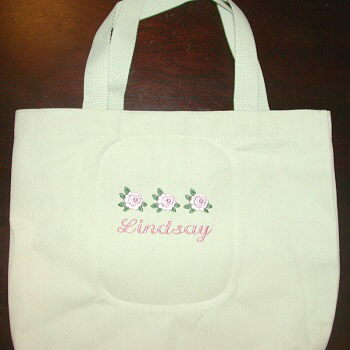 We embroider on 100% natural canvas bags (14″x14″). 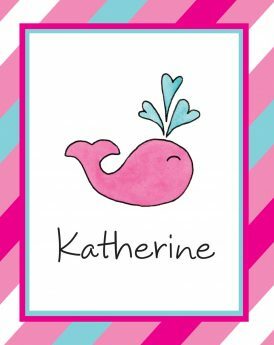 Designs are typically 4″x4″. 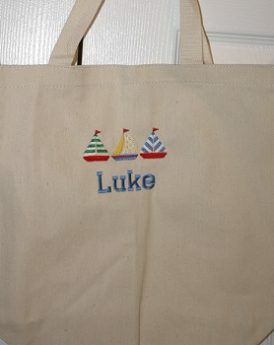 Our tote bags make great gifts for teachers, children, new moms, or anyone else. 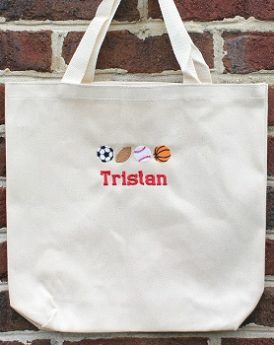 Great for toting around barbies, bibles, or baseballs!